Don't set the pace. Demolish it! 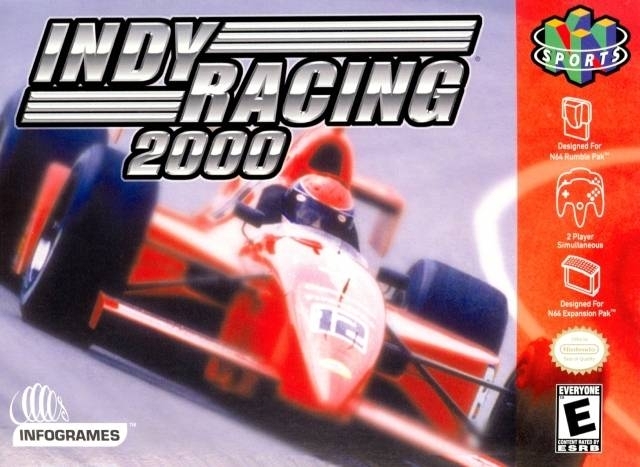 Get behind the wheel and take control of the speed, power and tradition of "The Greatest Spectacle in Racing" with Indy Racing 2000. 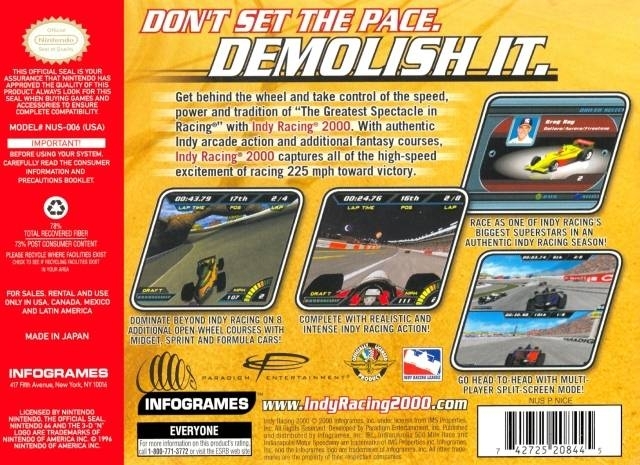 With authentic Indy arcade action and additional fantasy courses, Indy Racing 2000 captures all of the high-speed excitement of racing 225 mph toward victory! Race as one of Indy racing's biggest superstars in an authentic Indy racing season. Dominate beyond Indy racing on 8 additional open wheel courses with Midget, Sprint and Formula cars.